We can supply all commercial fencing, site fencing and hoarding services in Surrey and Hampshire. Our commercial team has been providing market leading services to our customers for many years and has established a reputation that means most work comes through word of mouth. As our site suggests we are able to provide a full range of products from various sources to suit budget, application and situation. 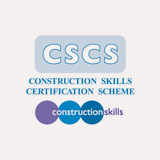 All our employees carry CSCS cards, are trained First Aiders, and are DBS checked whilst our company is CIS registered and proud members of Exor and Constructionline who audit our health and safety annually. 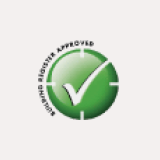 We use the latest tools and equipment which allows us to undertake a job with speed and precision, all of our staff are trained regularly so as to ensure their skills are up to date. We are able to provide an emergency service for sites which need to be made safe quickly and we are able to work throughout school holidays on education sites. Whatever your commercial fencing needs, a quick scan through the relevant page should show you we are able to provide you with a comprehensive service, we welcome your call to discuss your needs personally and will then be able to quote for your project. We supply commercial security fencing, steel mesh fencing and steel palisade fencing as well as many other solutions in Surrey and the surrounding area. Securing your commercial premises, whether it is an office or factory unit, building site, a high profile pharmaceutical site or industrial building will probably be the best investment you will make for your business. Burglaries, vandalism, vehicle thefts, assaults on staff and site thefts can all be thwarted with the right type of fencing and gates. We have vast experience across the board with all types of security fencing and we can act fast to protect your premises. Steel palisade is still the favourite amongst our customers as it provides a robust and cost effective barrier which satisfies even the most influential insurance company. 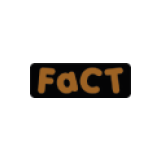 There are however many other products on the market which can be less obtrusive, cheaper and offer the same protection rating. Mesh systems can be erected in less time and are now available in 3m wide panels and prison mesh is being used more and more for sensitive sites. 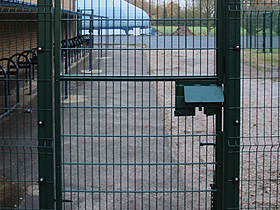 Rotating spikes, razor wire and barbed wire can be fitted to most available systems and can provide the ultimate deterrent to your package and all can be provided in a powder coated colour to suit the environment. Whatever the situation we can provide you with a security fencing solution to meet your budget, call us to discuss your requirements. Helping to make Surrey and the South East more secure. 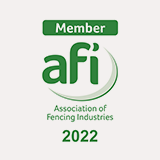 Our agricultural fencing team in Surrey team has been working closely with landowners so we are now able to offer cost effective fencing across the board. Whether it is post and rail fencing, stock fencing, deer fencing or whether it is for sheep, cattle, pigs, chickens, horses etc we have the solution for you. We have invested heavily in new machinery so as to keep our prices competitive in this market. 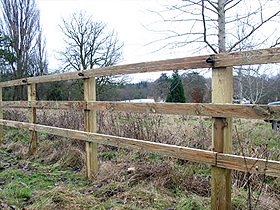 Post and rail fencing and stock fencing in Surrey remain some of the core products demanded by our customers, with thousands of meters erected of both annually. Deer fencing in Surrey has been our fastest growing market within this sector largely due to the explosion of wild deer as a result of culling being cut back in the South East. All of our products are erected with pressure treated posts and we tend to go deeper when installing than most of our competitors, we never increase our post spacing to over 3m. We are also able to provide add on services to your fencing such as flailing of hedge lines, tree removal and hedge laying. 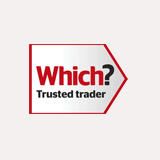 We are experts at school fencing in Surrey, Sussex, Hampshire, Kent, Berkshire and London. We regularly work with schools, colleges, universities, playgroups, academies, and nurseries with each having its own requirements depending on the situation. We can install 'Playsafe' systems for younger children in bow top, palisade, vertibar and colourful pencil fencing in wood. 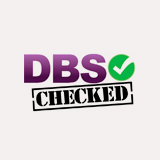 All our fencing conforms to BS standards and all our staff are DBS checked and are fully trained. We can create general school fencing, ball court fencing for sport facilities and rainbow fencing for playgrounds. 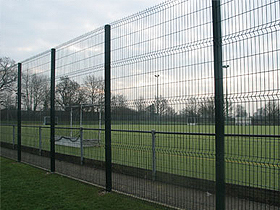 Our mesh systems are being used more and more now to secure boundaries of education sites as they offer a high level of protection up to 4.8m high and are able to blend in with the natural surroundings. Some still prefer closeboard as this offers a high level of protection and a visual barrier which is especially important where facilities neighbour footpaths and access routes. It may just be that you need a small gate in a nursery to add a level of protection to an inner section of your site, we can do this quickly and cost effectively. We also offer a number of systems that can be used to segregate people and vehicles; these can be in wood or steel and are able to keep people to paths and vehicles to roads. 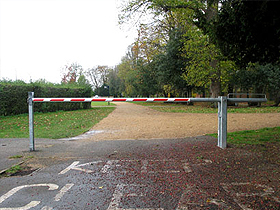 Providing safety and protection systems across Surrey, we can install; bollards, pedestrian guardrails, Armco barriers speed humps, flow plates, telescopic posts, rising arm barriers, swing gates, hoop barriers, key clamps and crash barriers to name a few. Most systems can be installed quickly and can re-coup their cost swiftly just by avoiding one accident. Richardson Fencing has a range of products to increase safety and to protect people, buildings, machinery etc. Creating separate paths for vehicles and pedestrians within the same site (and getting them to stick to them) can be difficult without the right guards and signage. 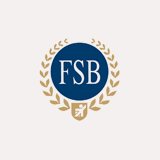 We can provide a one stop shop for this and ensure you are compliant with health and safety regulations. We carry stocks of temporary Heras panels and pedestrian barriers for sale or hire which can be delivered quickly to your site. If you need to find a solution that is quick and cost affective call us to discuss. 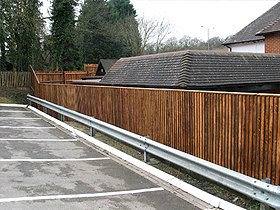 We are a contractor for council fencing in Surrey specialising in commercial and safety fencing. Richardson Fencing Ltd undertakes a huge amount of work for local district councils, also Surrey, Hampshire and Sussex County Councils. 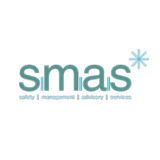 We can provide our full range of services to you at an acceptable cost throughout this sector. Working with these sites can be challenging due to their individual nature, whether it be a special needs school, library, youth centre, council offices, parks and recreation grounds to name but a few. These sites usually mean working with public close by so need individual risk assessments and are supported with appropriate barriers and safety systems. 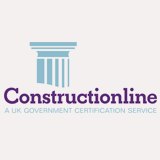 If necessary we are able to work to National Schedule of Rates which is becoming the norm for councils, housing associations and building maintenance companies.